Interesting Facts: It can be found in small groups and is territorial. In the manga, Victreebel has been shown to horde food, usually small birds and rodents, and collect Leaf Stones to perform evolution rituals at night to help Weepinbell become more Victreebel. 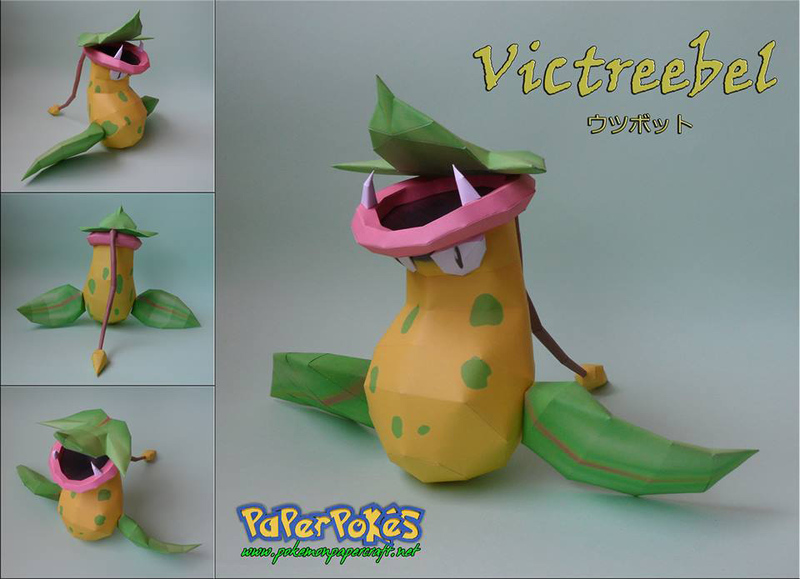 Victreebel lives in forests, as well as tropical jungles. NOTES: Build from the mouth down, attach the teeth and eyes as you go. Once the body is done, make the leaves and glue them on. Use the 'stem' that branches off from the biggest, upper leaf to help balance the model. can u actually put your hand in it? Then I can make Dawn's team and my team! why is the gen 1 link not updated with victreebel yet?